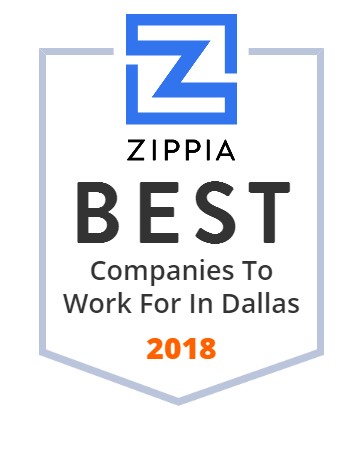 We hand-curated a list of the biggest companies to work for headquartered in and around Dallas, TX using data on salaries, company financial health, and employee diversity. Omni Hotels & Resorts is an American privately held, international luxury hotel company based in Dallas, Texas. Dave & Buster's is an American restaurant and entertainment business headquartered in Dallas. The Dallas Independent School District is a school district based in Dallas, Texas. Fiesta Restaurant Group, Inc., through its subsidiaries, owns, operates, and franchises fast-casual restaurants. It operates its fast-casual restaurants under the Pollo Tropical and Taco Cabana brand names. The company s Pollo Tropical restaurants offer various Caribbean inspired food, and Taco Cabana restaurants offer a selection of Mexican food. As of January 1, 2017, it had 177 company-owned Pollo Tropical restaurants, 166 company-owned Taco Cabana restaurants, and 29 franchised Pollo Tropical restaurants in the United States, Puerto Rico, Panama, Trinidad & Tobago, Guatemala, the Bahamas, Venezuela, and Guyana, as well as 5 franchised Taco Cabana restaurants located in New Mexico, 2 non-traditional Taco Cabana licensed locations on college campuses in Texas, and 1 location in a hospital in Florida. The company was incorporated in 2011 and is headquartered in Dallas, Texas. The University of Texas Southwestern Medical Center is a medical education and biomedical research institution in Dallas, Texas, US.